Big news. Dramatic news. 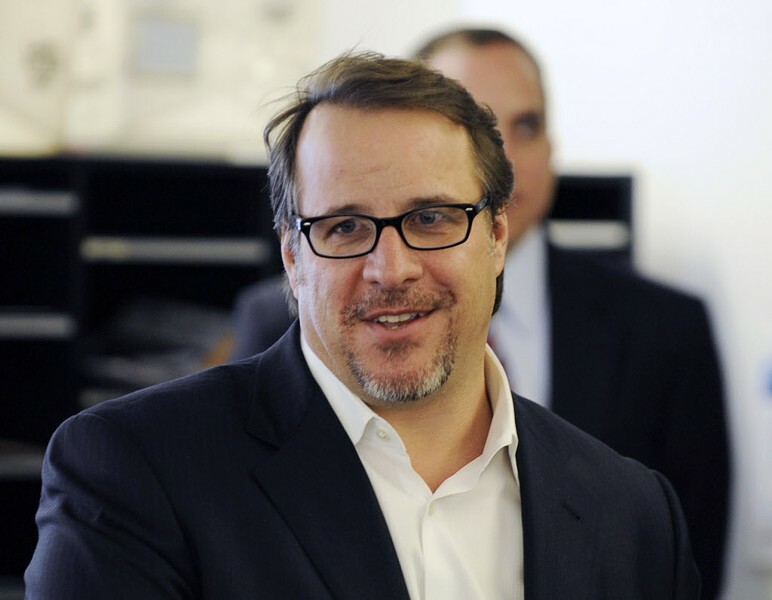 Michael Ferro, majority owner of the Sun-Times and the Reader, now owns more of Tribune Publishing than anyone else. He's bought 5.2 million shares for $44.4 million. His new title is nonexecutive chairman of the Tribune Publishing board. But he's now a silent partner in Wrapports, the holding company that bought the Sun-Times and Reader. The new chairman is investor John Canning, while Bruce Sagan becomes chairman of a new entity, Sun-Times Holdings. I'd have thought Ferro's powerful new position on both sides of the street would have made journalists on the Sun-Times side—who've been getting by on diminished rations for years—even more worried about the future than they already were. 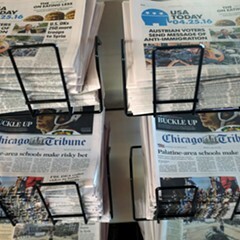 Even though antitrust laws keep Ferro from trying to run both operations, it's not hard to imagine a future in which the Sun-Times is subsumed into the Tribune (which already prints and distributes it), or becomes a secondary title, like Redeye or Hoy. But I'd have been wrong. Sagan met the Sun-Times staff Thursday morning, and the mood was buoyant—along the lines of a camper plagued by a chigger that finally jumps out of his bunk into the bunk of the jerk on the other side of the tent. Ferro made his fortune in digital technology and is a kind of idea-a-minute man. Sagan, 87, has been around newspapers all his life. He and the staff speak a common language. In a blog post, Sun-Times columnist Neil Steinberg calls the meeting "extraordinary." At the end of it, he went up to Sagan, shook his hand, and said, "Where the hell have they been hiding you?" 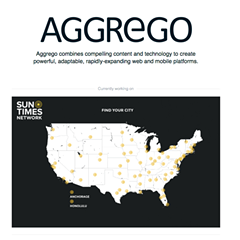 Tribune Publishing's $400 million in debt, said Sagan, and brought in Ferro because they needed his money. And, according to Sagan, the Sun-Times is debt free and close to breaking even. "If you are going to bet on something, better bet on us," he said. "They're in disarray. [Ferro] left us a growing institution." 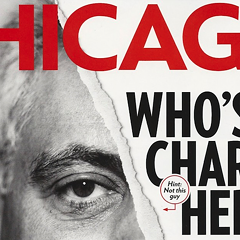 Sagan's history as a publisher or investor includes the Hyde Park Herald, the late Chicago News Cooperative, and the former Southtown Economist. He reminisced about turning the Economist into a daily the day after the Daily News folded in 1978, and lying to Irv Kupcinet when Kup got wind of his plans. Newspaper people warm to bosses who can tell newspaper stories. Onward and upward was Sagan's message. Will we ever be out of print completely? asked Fran Spielman. Yes, said Sagan, estimating that would take about 25 years. But the Sun-Times will go on. "The other guy's still the enemy," Steinberg says Sagan told the staff. "Our job is to create the other voice in town. We want to remain a brand that people trust . . .
"If I have my way you'll be here forever." Steinberg writes, "You had to live under the sword of Damocles for a decade, watching the thread fray, to understand the impact of those words. While optimism is typically misplaced in the newspaper business, I found Sagan's appearance somewhere between encouraging and shocking, like the Officer in White showing up at the end of 'Lord of the Flies,' representing civilization and order returned." He's also the ironic emblem of humanity's endless capacity for war and mayhem, but let that go. And what is Ferro up to? 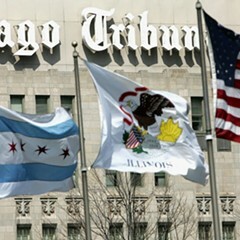 The Tribune might need his money, but why does he need the Tribune? Sagan doesn't know, and he also wonders about it. 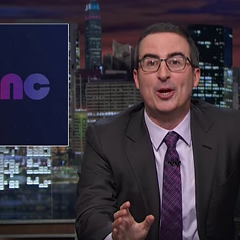 "What he wants to do is his business and what antitrust laws mean is I can't talk to him about it." Jim Kirk, editor in chief of the Sun-Times, called it "a very upbeat meeting" and went on to tell me that "people were relieved to hear we’re not out of the woods yet, but on a path to getting there, from a business standpoint." I told Kirk and Sagan both that they were unlikely to find the Reader staff quite as lighthearted. There's a strong feeling inside the paper that under Ferro the Reader was being bled of autonomy and resources. 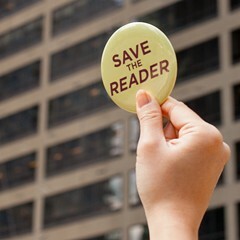 Kirk, who's taken a more active editorial role in the Reader, and Sagan will meet with the staff next week.